If you own property or land subject to a restrictive covenant or are considering making a purchase with this type of constraint, it is important to understand your obligations, rights, and options. While restrictive covenants may be in place, their origin may be so rooted in history that their purpose may no longer be relevant or desired in the modern world. In this article we will explain the purpose of restrictive covenants, and what you can do to have them lifted. Restrictive covenants are often associated with protecting standards for the benefits of residents in the vicinity, for example defining the colour palette that can be used, or the style of windows in a development. In addition, a restrictive covenant on freehold land is agreement contained within a deed that one landowner will restrict the use of its land for the benefit of another landowner. This might include restricting the land to non-business activities and may control the height of buildings. 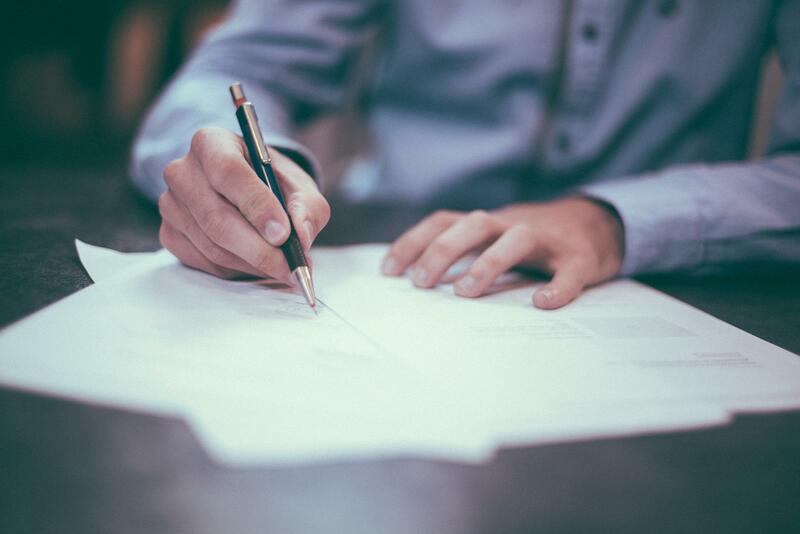 Restrictive covenants are automatically passed from owner to subsequent owner, therefore it is vital your conveyancer undertakes all necessary checks to uncover any existing covenants – even if the current owner states they are unaware of any. Any failure to do so may mean you become unwittingly liable for future breaches. Not only may this mean you are required to remove any trace of the changes in breach, but you may also be landed with costs and/or legal action against you. Can a restrictive covenant be removed? For prospective land or property purchasers, it may be possible to speak to the vendor or ‘successor in title’ with a view to having any restriction lifted. It is important first to find out who has the ‘benefit’ of the covenant, which will typically be the landowner. However, in some cases, this may have passed to another entity or business. If you can agree to have the covenant removed, a ‘Deed of Release of Restrictive Covenant’ should be drawn up and signed by the dominant and servient owners. In the situation whereby a restrictive covenant is in place, but the beneficiary is unknown, it cannot be enforced, or it is simply unreasonable (which is especially the case if the reason for the restriction is no longer in existence), it may be possible to request permission to have the restriction removed or modified, by applying to the Upper Tribunal (Lands Chamber). If there will be damage to the beneficiary due to the loss or change of the covenant. How can I remove a restrictive covenant? It is, however, important to understand that the current beneficiary may object to any loss, which may result in the applicant being required to pay compensation. If you are considering undertaking work to land or a property currently covered by a restrictive covenant, it is recommended that before doing so you seek advice from a legal property specialist who can advise you. Don’t assume that a covenant will be removed in your favour, and you may be required to undo all of the work completed. In addition, the application process to have a restrictive covenant modified or removed can take considerable time (potentially 18 – 24 months). Restrictive covenants can impose considerably on the use and enjoyment of land and property, but by seeking from the outset to understand if any exist, an objective decision can be made before proceeding with the purchase. It is entirely possible that any seller will be keen to make changes in return for the successful sale of their land or property. If it is not possible to have restrictive covenants lifted as a condition of sale, or you are already subject to such conditions (and have not already been in breach), you can put in place specific indemnity insurance to provide financial protection in case you do find yourself inadvertently in breach of the covenant, and facing a bill for the removal of work, damages, and legal costs. Regardless of your context, whether in breach, seeking to purchase, or wishing to challenge an existing restrictive covenant, due to the potentially costly implications, your best interests will be served by seeking the guidance and support of a specialist property Solicitor with the necessary skills, knowledge, and experience. Not only will this protect your financial interests, but it will also afford you the best outcome and, ultimately, peace of mind. Guillaumes, based in Weybridge, Surrey, have a dedicated team of property solicitors knowledgeable in restrictive covenants. To seek objective and impartial legal advice, get in touch with us today.